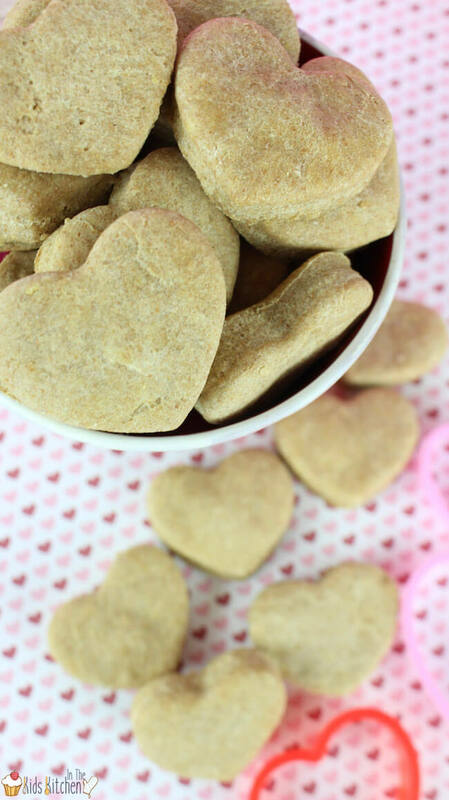 Inside: Easy recipe to make homemade peanut butter dog treats. 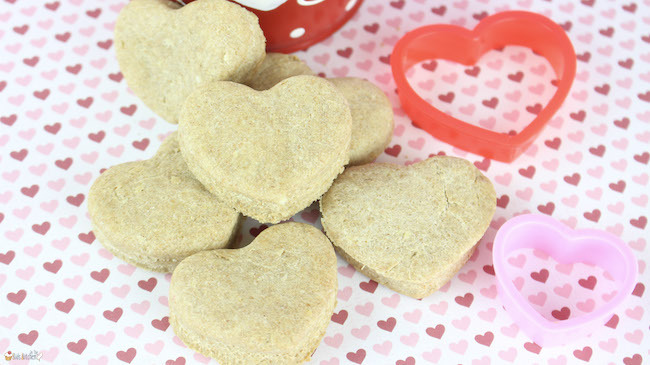 Tip: Make a double batch and gift them to family and friends for their special furry friends. 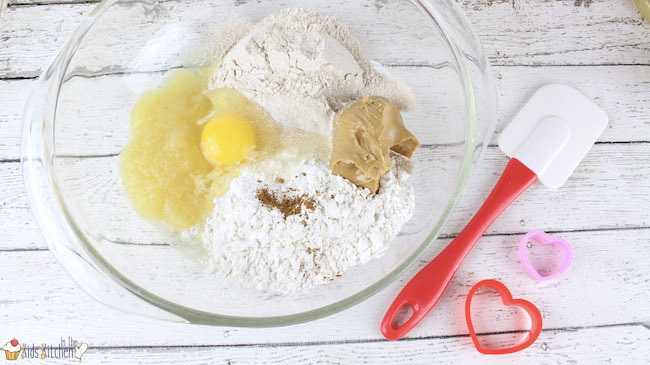 In a medium mixing bowl, add both flours, applesauce, peanut butter, egg and cinnamon. Mix well until combined. Roll the dough out on a level workstation until it’s about 1/4” thick. 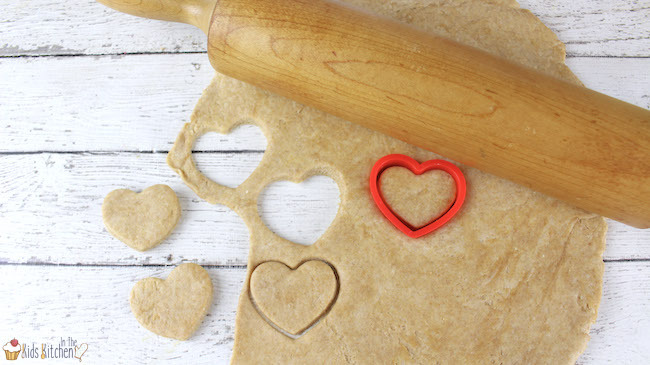 Using a heart shaped cookie cutter, cut out the Valentine treats from the rolled out dough. You can take the scraps that are left over and re-roll the dough again to get a few more treats, if desired. 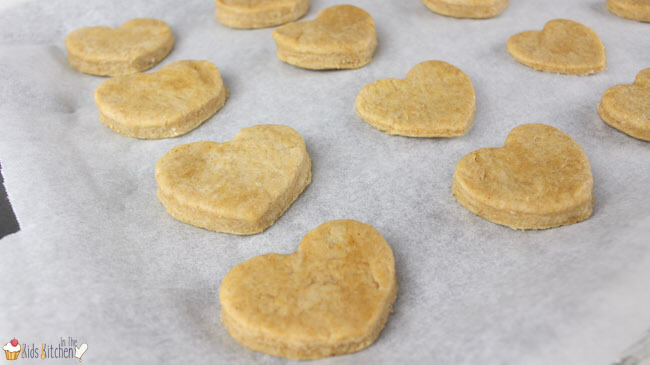 Place the heart-shaped dough pieces on the lined cookie sheet and bake for 15-20 minutes or until they are just beginning to turn brown around the edges. Transfer the treats to a wire rack and allow to cool completely. 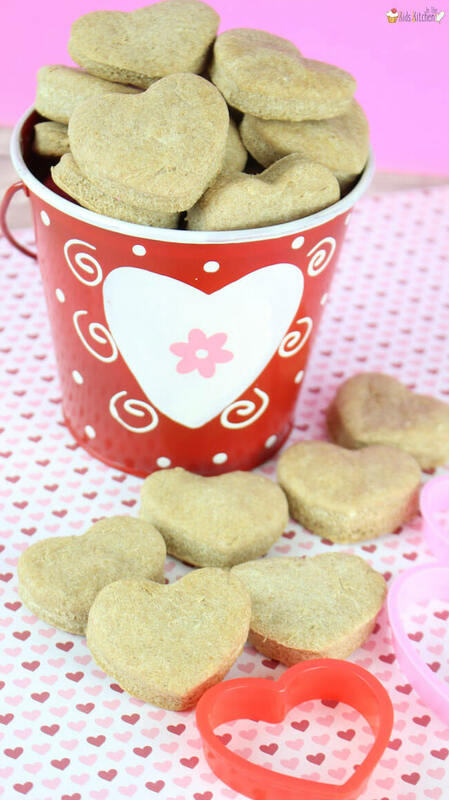 Free printable copy of this peanut butter dog treats recipe available at the bottom of the post. 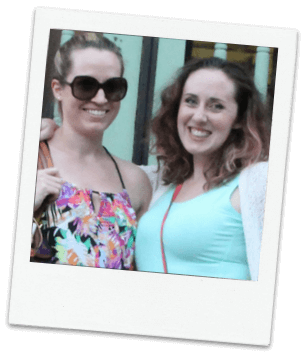 Are your kids animal lovers? 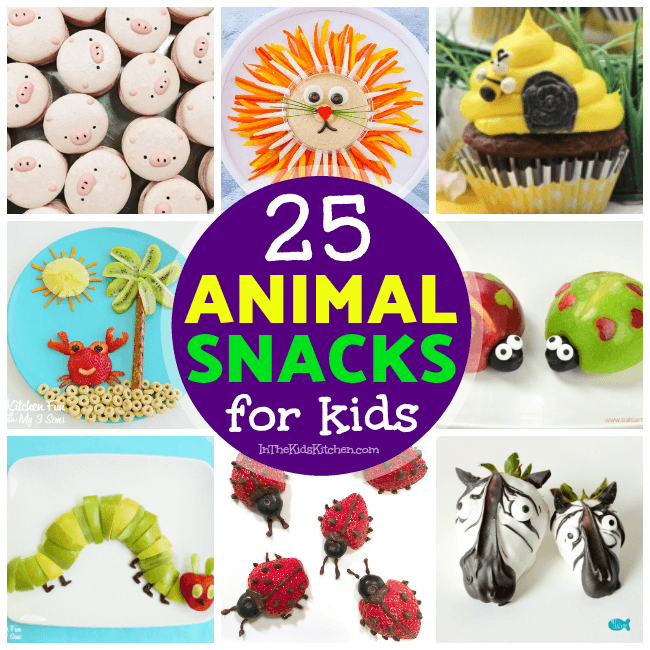 Be sure to check out our adorable collection of 25+ Animal Snacks for Kids!